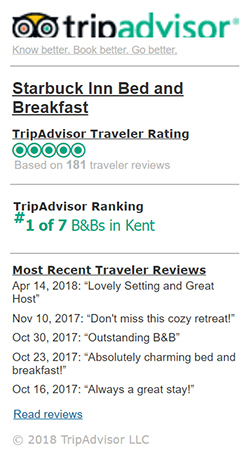 Starbuck Inn, A Bed and Breakfast in Kent, Connecticut specializes in hotel-level service and the warmest bed and breakfast hospitality. 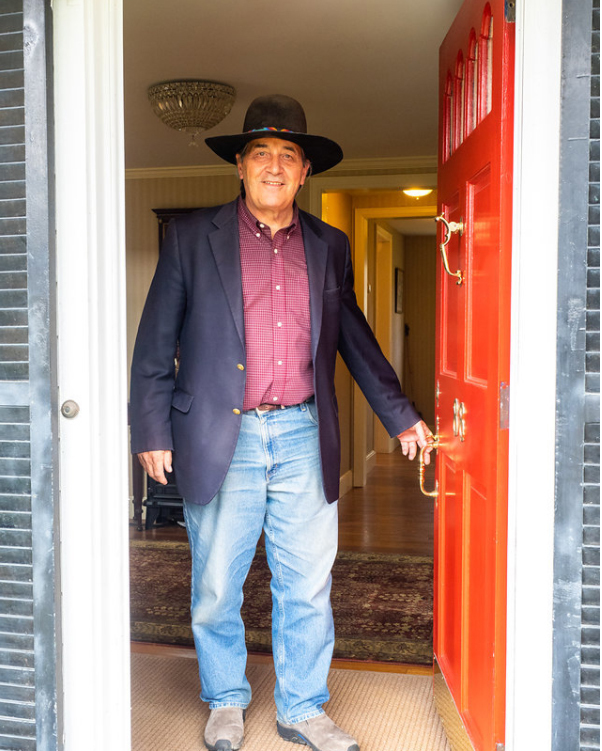 A top-to-bottom renovation during the spring of 2003 gave the house newly installed central air-conditioning, new furnishings, appointments and decor. Each of our six guest rooms has a custom-built armoire, cable TV, telephone and high-speed broadband ports, Frette linens and towels, "pillow top" mattresses, and its own bath. 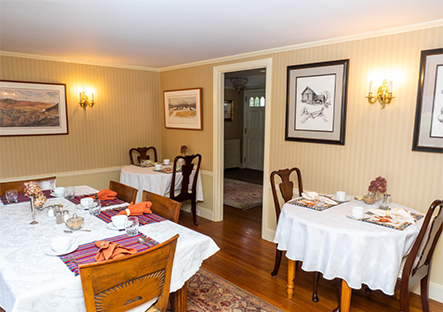 Starbuck Inn Bed and Breakfast is conveniently located to all Kent Connecticut Attractions, set well back from Main Street with a deep front lawn and two acres of grounds to the rear, Starbuck Inn Bed and Breakfast is the best of both worlds – in town ... in the country. You can stay here and never use your car. All local Kent, CT attractions, as well as Shopping and Restaurants are only steps away. The house features comfortable common space in the living room and dining room and six guest rooms, each with its own bath. Three rooms have queen beds, and showers in the bathrooms. Two rooms have king beds and tub/showers. Our king suite is located on the 1st level of our new wing and includes a private entry, generous living area, and lovely bath with a large walk in shower. Guests expecting a continental breakfast will be disappointed. Why? Because we do a healthy breakfast made with local ingredients and it's different every day. We know when you come to check in, you're ready to relax. Likely you're just getting in from a trip, and be it long or short, it's time to sit back and unwind. Borrowing from English bed and breakfast tradition, high tea is served at 4pm in the afternoon. Legend has it that the Duchess of Bedford (1788-1861) complained of a lack of energy in the afternoons and instituted a "high tea" featuring light fare such as crumpets, scones, crustless sandwiches and pates to keep her going until dinner. 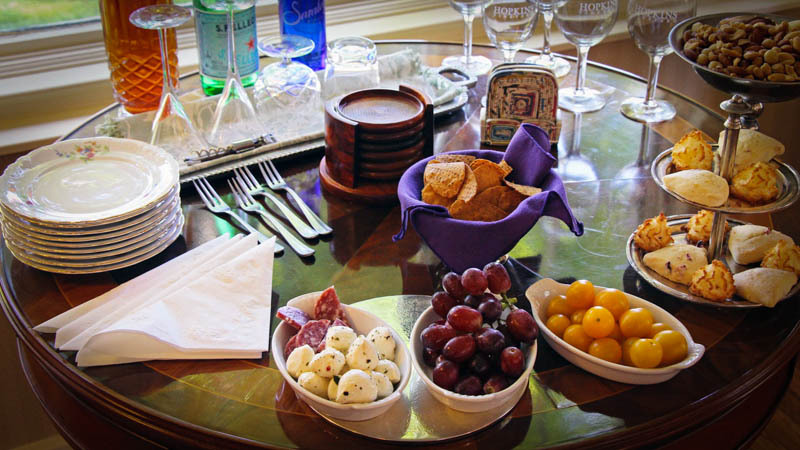 The emphasis was on conversation and presentation, a tradition Ms. Wolfe will continue with her array of cookies, breads, pastries, and whatever is appropriate for the guests, the time of year, and even the weather. Heat large skillet with 2 Tbsp. Wesson Oil over medium-high heat. When potatoes are cooked, combine with onions and cook on low heat fro 10 min. Soft scramble the eggs with a little milk. Dice and fry the bacon. Place a layer of eggs in the bottom of a casserole dish. Spread with sour cream. Layer the bacon over the sour cream and top with cheese. Bake in a 350 degree oven for 20 minutes. This can be made the day before and baked in the morning. Rich and yummy! Beat together the eggs, milk, and sugar. Add the cheeses and butter. Mix well, then add the flour and baking powder. Pour into a greased 9×13-inch glass baking dish. Bake in a 325 degree oven for 45 minutes or until knife inserted in the center comes out clean. This may be made ahead of time and refrigerated. If the pan goes from refrigerator ot oven, bake 60 minutes. In a 9×13 baking dish melt the butter. Spread with sausage and cream cheese (in pieces). Combine eggs and milk, sprinkle with pepper and pour over top. Bake at 350 degree for 25 minutes or until firm.